Our son, Julian Joseph Thorvund, passed away from a catastrophic pediatric disease. He was with us for only two days, but touched us in ways that will always be with us. 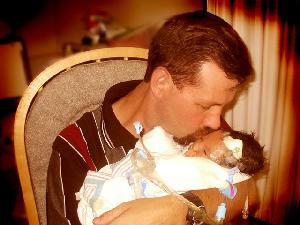 In his memory, it is our desire to help other children and families with catastrophic pediatric diseases. If we can help one child live a longer, happier life or prevent one parent from having to choose a casket and flowers for their child, then our Julian’s memory will live on with others as well.